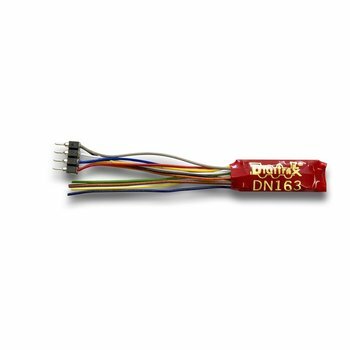 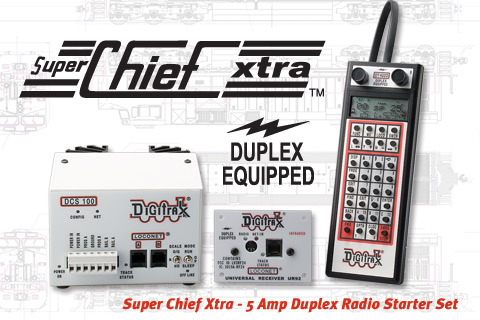 Digitrax SoundFX decoders come either"ready to run" with pre-loaded sounds appropriate for a certain locomotive or with generic steam or diesel sounds from the factory. 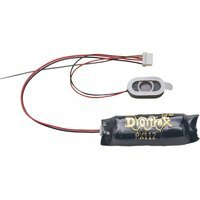 With the addition of the Digitrax PR3 programmer and SoundLoader utility, all Digitrax SoundFX decoders now may be programmed with your own custom sounds. 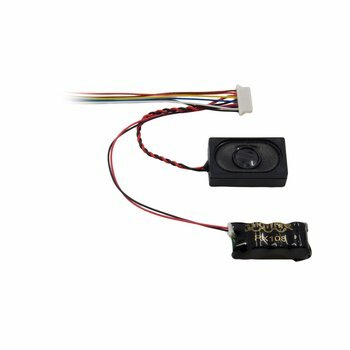 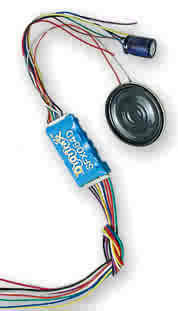 SoundFX decoders support the playable whistle feature with F2 key on DT402 throttles. 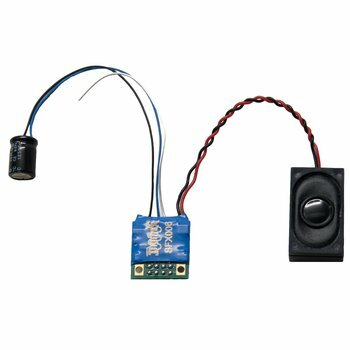 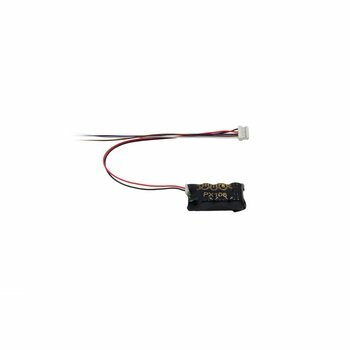 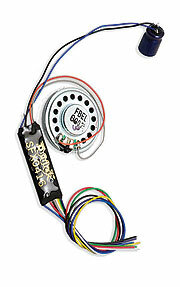 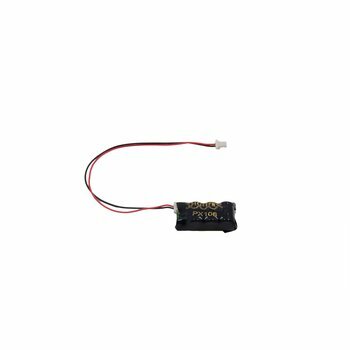 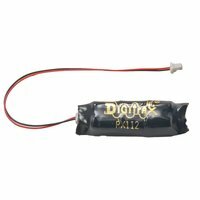 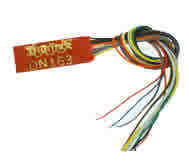 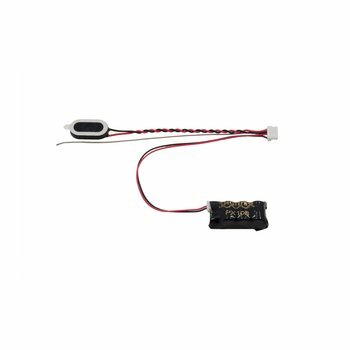 SFX decoders include an appropriate speaker with harness.